The Velveteen Rabbit Sew Along is back! Today we're going to assemble the ears of the rabbit. 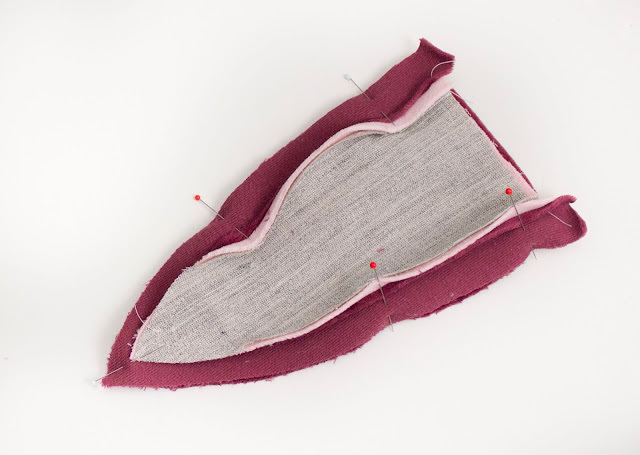 Before you start assembling the ears, attach the interfacing to Ear Front Inner fabric piece. 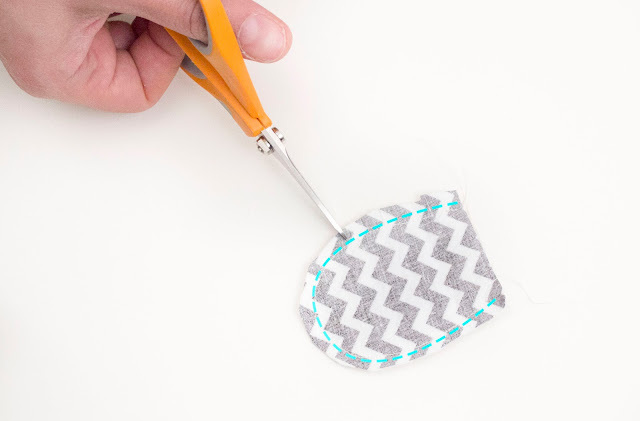 If you are using hair canvas, baste the canvas to the wrong side of the fabric pieces, using a wide machine basting stitch and staying within the 1/4 inch seam allowance. If you are using a heavy fusible interfacing, follow the instructions for your interfacing to adhere it to the wrong sides of the Ear Front Inner pieces. Then, sew the the Ear Front Inner piece to the ear front outer piece. This can be a tiny bit tricky, so you can watch me do it in a video, or just follow the pictures below. 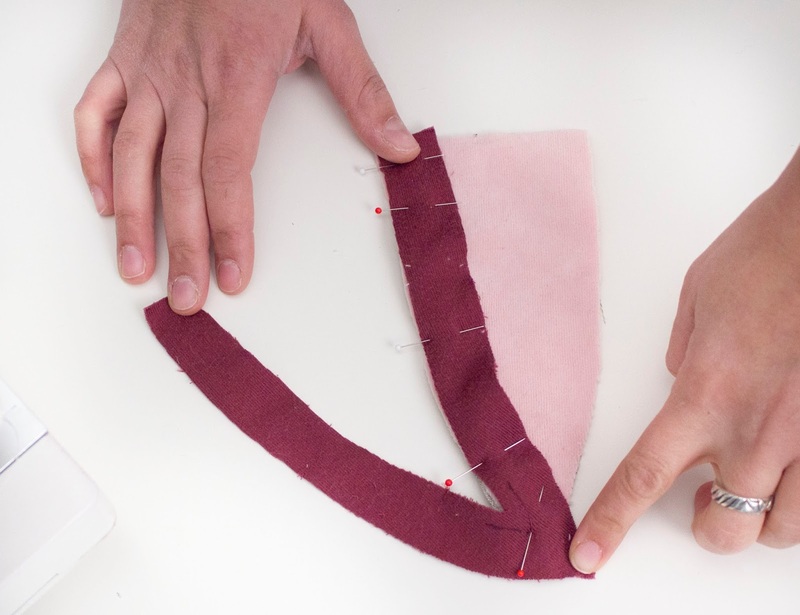 First, sew one side, from the point of the ear to the base, right sides together. 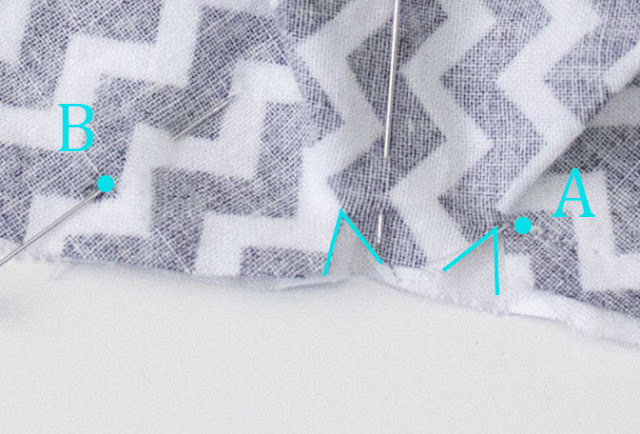 The stitching line is marked on the pattern piece at the top of the ear, it might help you to transfer this marking to your fabric pieces with a fabric marker. You can see my markings on the picture below. After stitching the first side, clip the tight angle of the outer ear piece just to the stitching. This will make it easier to line up the second side. Then, pin and sew the other side from point of the ear down to the base. 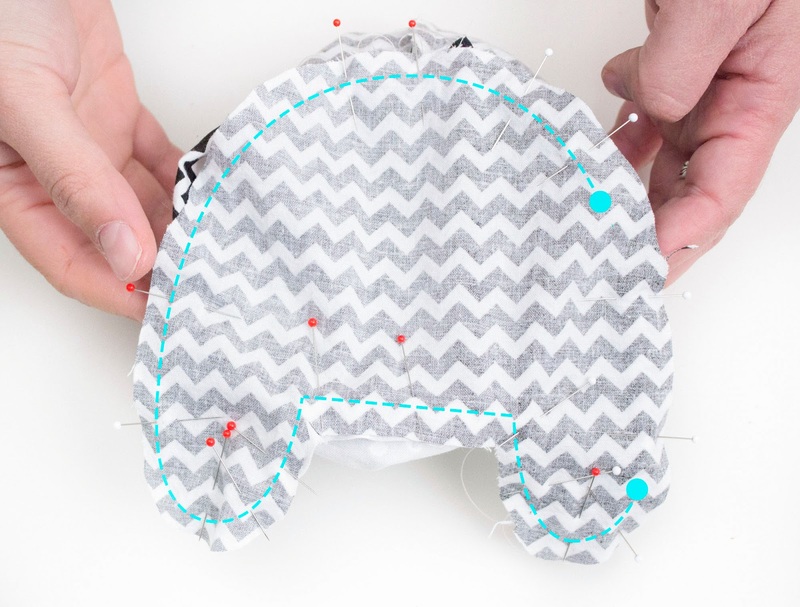 After stitching, press your stitching flat. 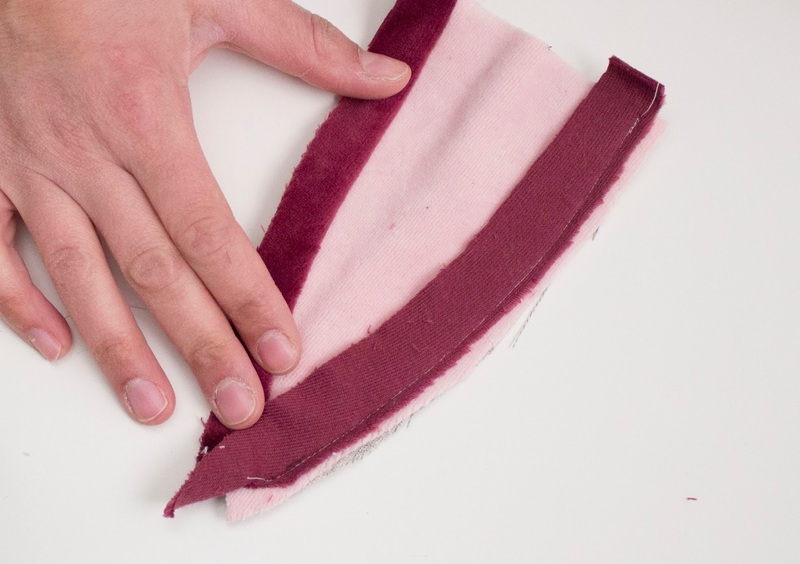 If you are working with a napped fabric, use a scrap of napped fabric as a press cloth, or press it from the back, to avoid crushing the fibers. Then, sew the Ear Back to the assembled Ear Fronts, right sides together. Clip the point and trim the seam allowances to 1/8 inch. Turn the ear right side out. Use something pointy like a chopstick (or a point turner, if you have one!) to gently press the tip out. Repeat all steps for the second ear, then you are are ready to assemble the body! Hello there! Today we will be assembling our Velveteen Rabbit PDF files and cutting our fabric. The pattern is designed to be printed on a home printer on 8.5"x11" paper. Make sure that you print the pattern at 100% (I have to turn off "scaling" on my printer). After you print, check the test square on the first page of the pattern with a ruler-- make sure it measures exactly 1 inch or 4 cm. Some of the pattern pieces are larger than will fit on 8.5"x11" paper, so the first 4 pages need to be taped together. Match the triangles and tape together pages, matching the triangles. For a secure and accurate join between two pages trim off the margin of one page and tape it to the side that still has the margin. Pages 5, 6, and 7 don't need to be taped because the contain smaller pattern pieces. Before you cut, prewash your fabrics. This helps remove any residual chemicals or contaminants from your fabrics, which is important if you are planning on making a toy that a child will play with. It also prevents shrinkage when the toy is washed... although a finished stuffed toy should only be hand washed and air-dried. 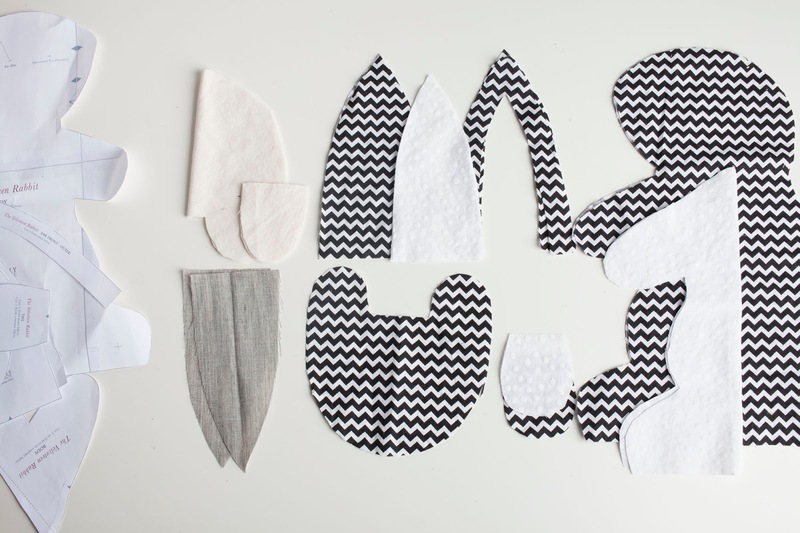 After you've taped together the pattern, cut out the paper pattern pieces. 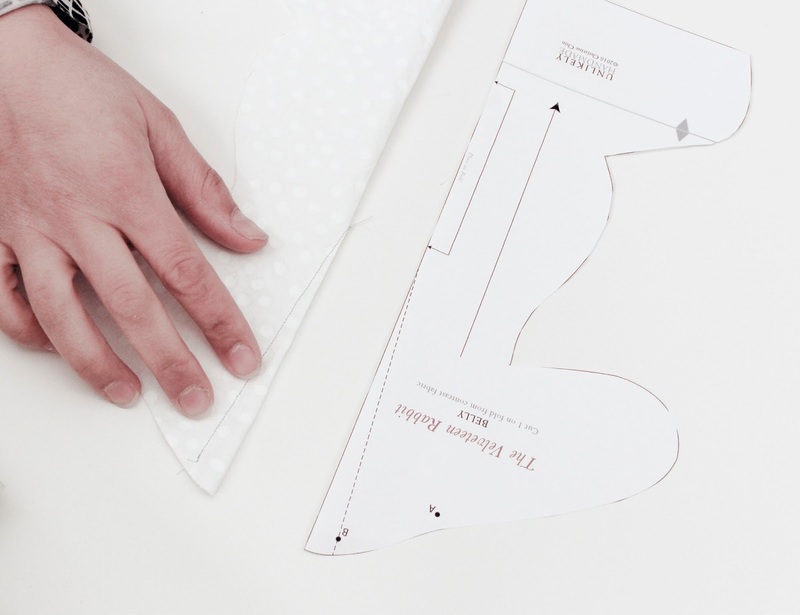 Arrange your pattern pieces on your main fabric, contrast fabric, and muslin using the cutting layouts in the instructions. 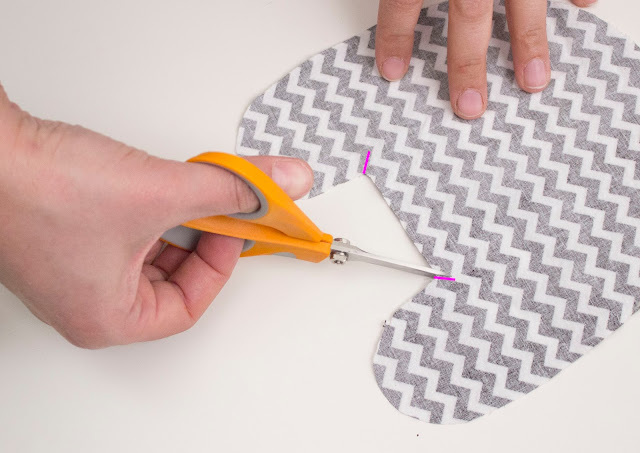 When I'm working with lofty fabrics like fleece or some velvets, I prefer to trace around the pattern pieces with a fabric marker and cut them out with fabric scissors. For thinner fabrics like quilting cottons and muslin, I use a rotary blade and a cutting mat. 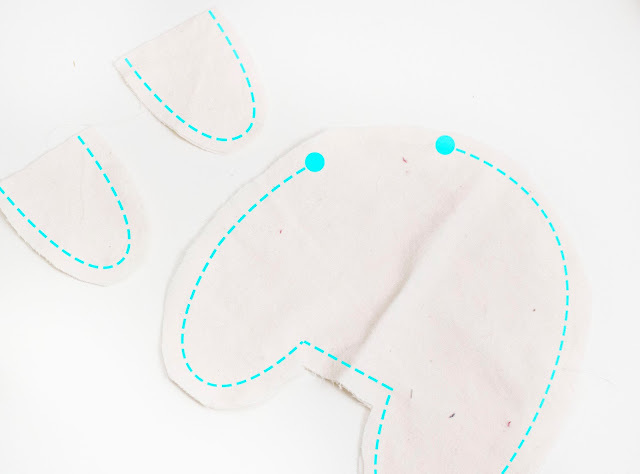 You can also cut out the heavy weight interfacing for your ears at this time using the Ear Front Inner pattern piece and the cotton muslin for the weight bags. If your fabric has stretch, you will want to underline or interface it. In the video above about nap I am making a bunny out of cotton velour, which is a knit fabric with stretch. To help the bunny keep it's shape, I chose to underline it with cotton muslin. You might also want to underline or interface your fabric to provide additional strength. 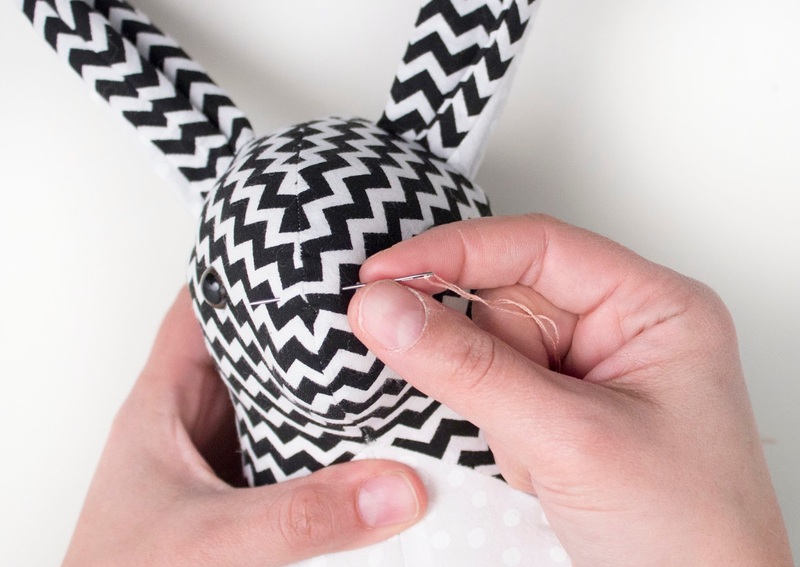 If you are making a bunny that you plan to give to a child who will potentially play with it for many years, the underlining or interfacing will make the toy better able to stand up to the tough life of a well-loved toy. You can underline with any medium-light weight fabric-- I usually use cotton muslin. 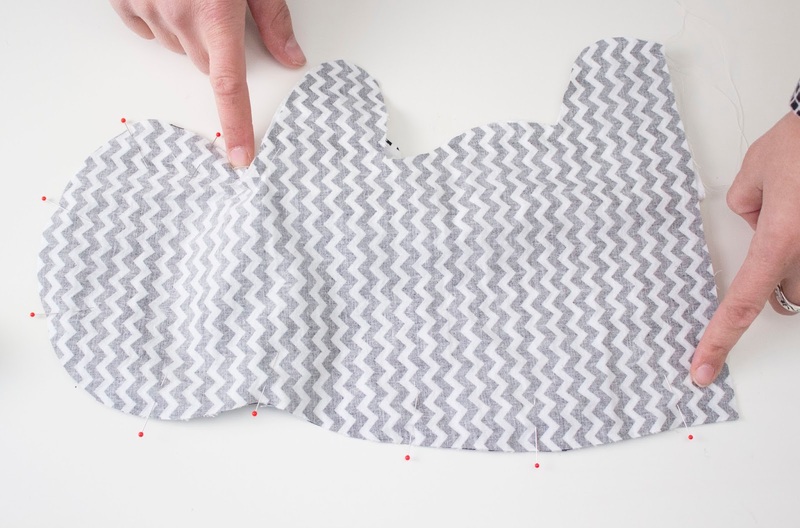 If you are interfacing, use a quality medium weight interfacing with minimal stretch. 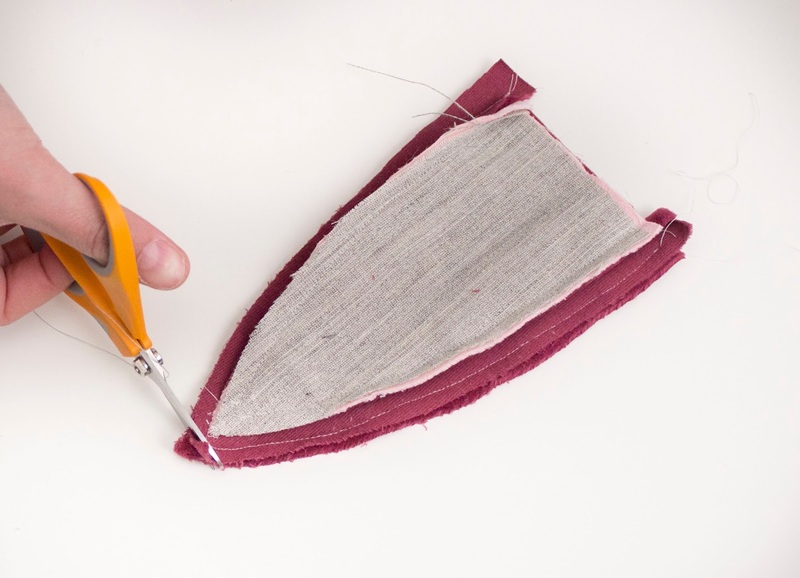 Don't trim the seam allowances on your interfacing: sewing the interfacing into the seam will add strength. 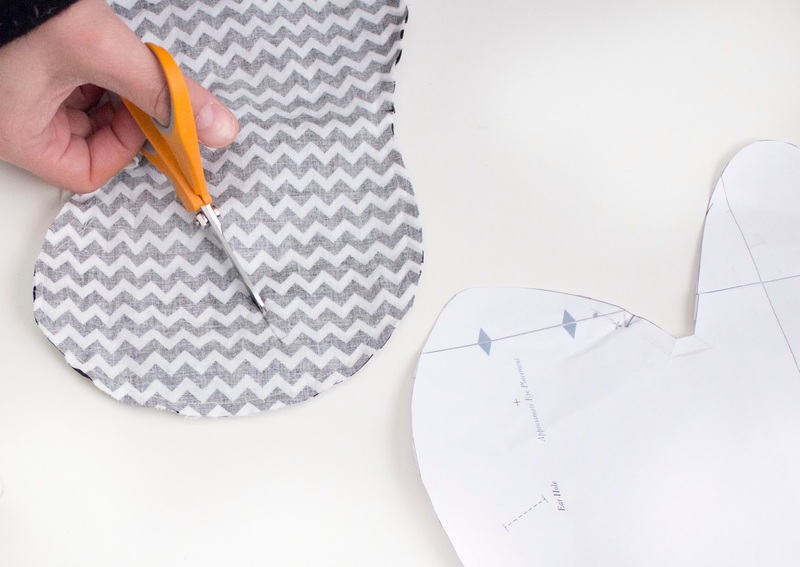 To underline or interface your fabric, cut the Body and Belly pattern pieces out of your underlining fabric or interfacing. If you are underlining, simply machine baste your underlining piece to the back of your fabric piece with a wide stitch. 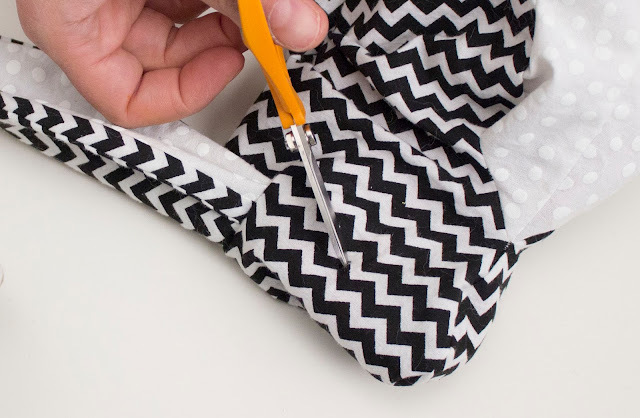 Keep your basting stitch just inside the 1/4 inch seam allowances. If you are interfacing, follow the instructions on your interfacing to adhere the interfacing to the back of your fabric piece. Tomorrow we start assembling the bunny! If you are in the US, Happy Thanksgiving! 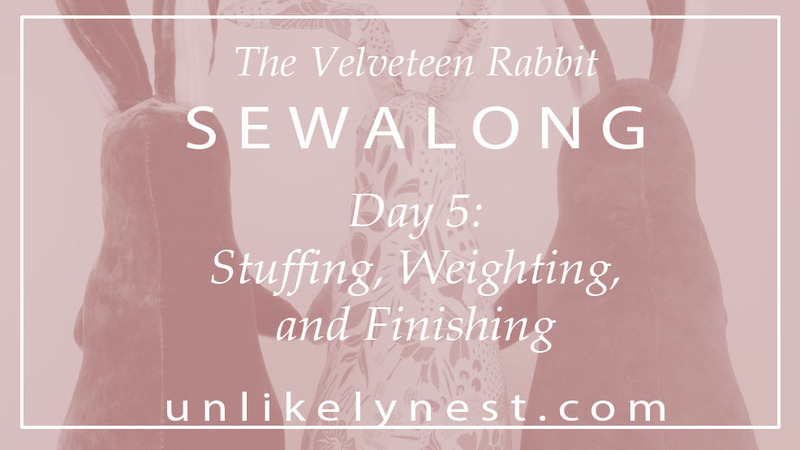 The Velveteen Rabbit sewalong will continue tomorrow, but today join us for a Give Thanks Sale! 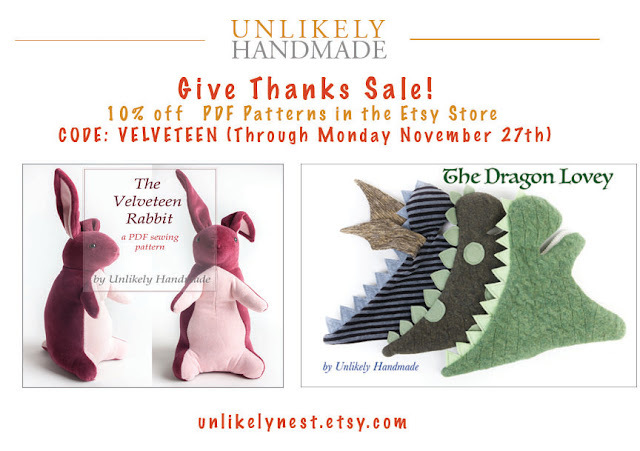 10% off PDF patterns in the Etsy Store with code: VELVETEEN through Monday, November 27th. Welcome to Day 1 of the Velveteen Rabbit Sew Along. 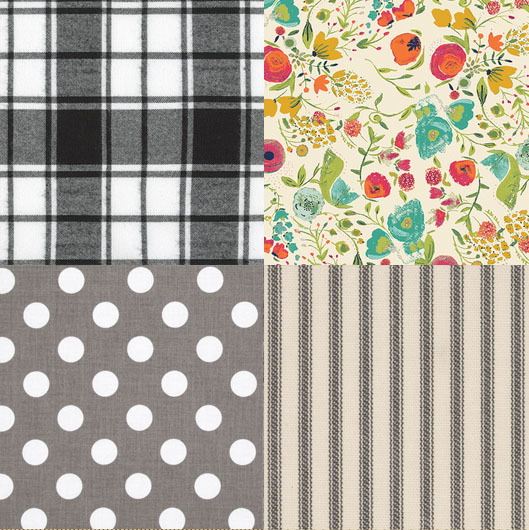 Today we'll be talking about one of my favorite things: fabric! We'll also talk about the other supplies you'll need to make your rabbit. 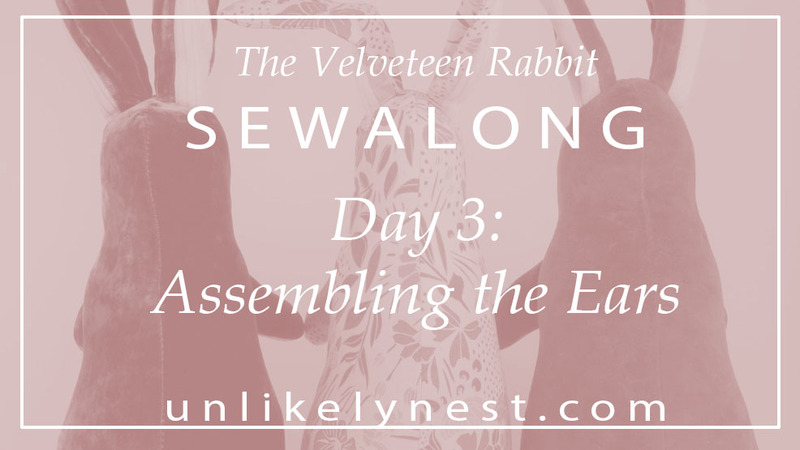 The Velveteen Rabbit Pattern is made for a medium-weight woven fabric. This is mostly for durability and to help hold the stuffing firmly in place. However, you can still make your bunny out of a stretchy or lighter weight fabric-- you just need to underline it or add a layer of interfacing to your fabric, and we'll talk about that on Day 2. 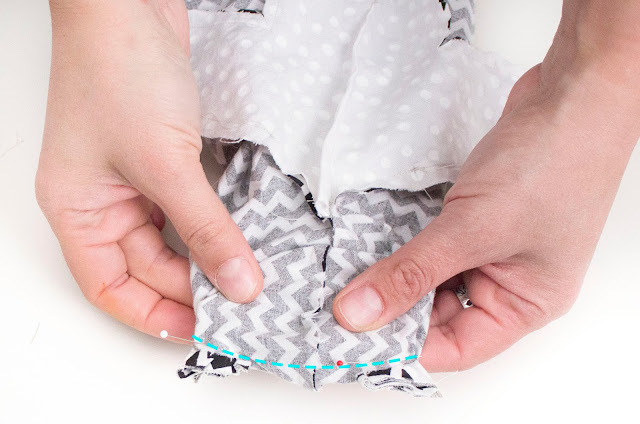 You'll need 1/2 yard of fabric for the body, then another fat quarter or 1/2 yard of fabric for the belly and inner ears. 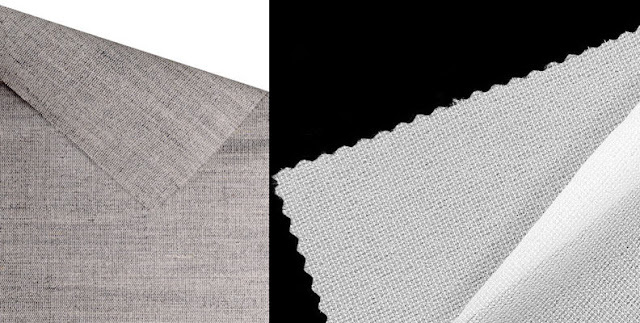 These could be the same fabric or contrasting fabrics. 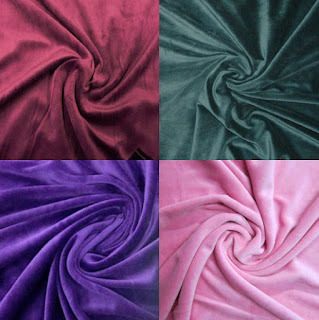 Velveteen is technically an imitation velvet that is a short pile woven fabric. I have yet to find a reliable source of true velveteen fabric-- many of the "velveteen" fabrics being sold seem to be knits of varying composition and quality. Far more common are cotton velour fabrics, and this is what I've made many of my samples from. Cotton velour is comfortable against the skin, relatively durable, and comes in a wide variety of colors. It is a knit fabric so you'll need to underline or interface to stabilize the fabric. 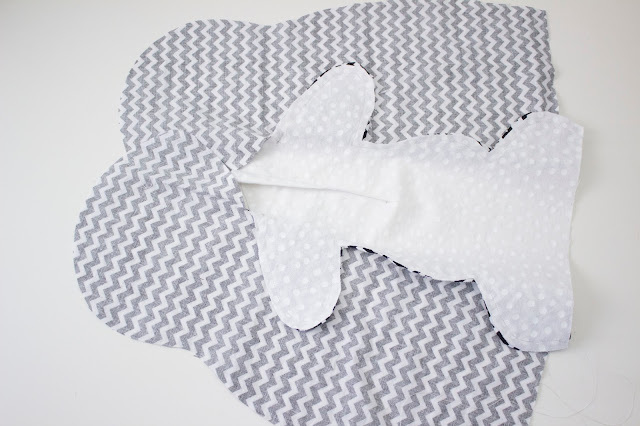 I'm very partial to natural and organic fabrics for children's toys. 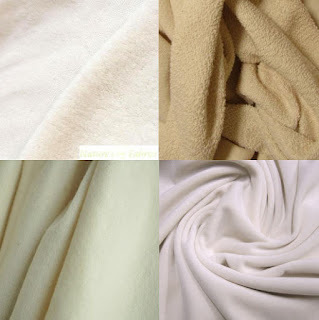 Here are some lovely options in sherpa, fleece, and organic velour. 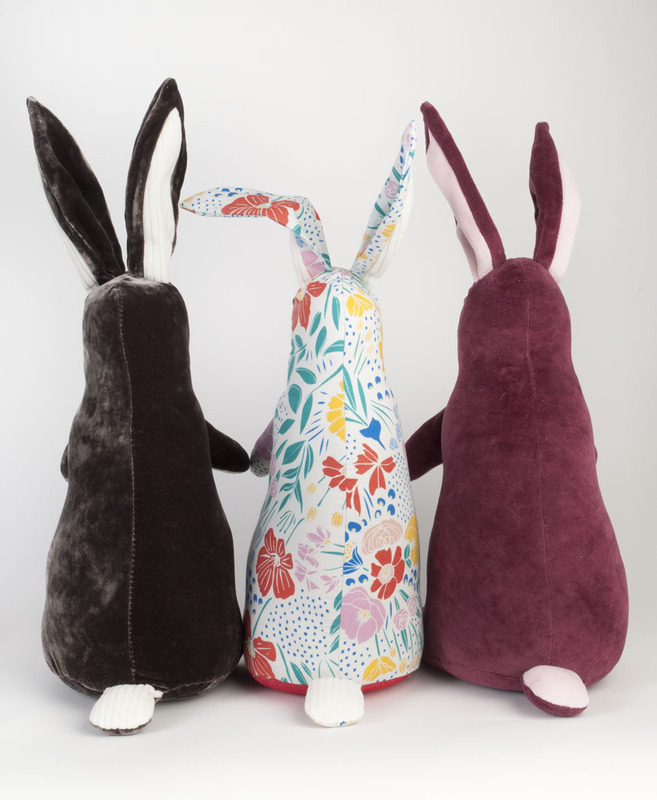 It is very fun to make bunnies in patterned fabrics! The top right is a cotton flannel, and I think it would make a wonderfully cuddly bunny. A medium weight flannel or twill fabric would also be perfect since there would be no stretch and it would be nice and durable. If you choose a lighter quilting weight cotton, you would want to underline or interface for strength. 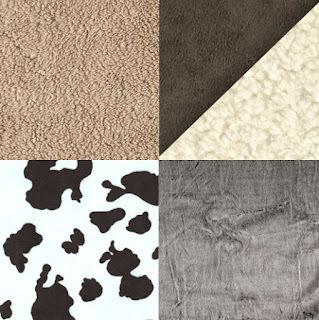 Furry or fluffy fabric would also be a wonderful choice. You would want to choose something with a short pile so that it wouldn't overwhelm the bunny or be too difficult to work with. The ears of the Velveteen Rabbit are stiffened with interfacing. While some vintage models are wired, I choose to design the pattern with safety in mind. If you are making a bunny for display, feel free to experiment with wire! You'll want a relatively stiff interfacing to help keep the ears up. I use sew in hair canvas, which can be found here or here or might be available at your local fabric store. You could also use Peltex Ultra Firm or a similar heavy interfacing, either sew in or fusible. You only need 1/4 of a yard. If your fabric is light weight or stretchy, you will want 1 yard of either a light weight fabric to use as an underlining or a light-mid weight fusible interfacing. Cotton muslin works nicely as underlining-- it is cheap, natural, and durable. You could also use any light woven fabric-- repurposed shirting fabric would also be a great option. 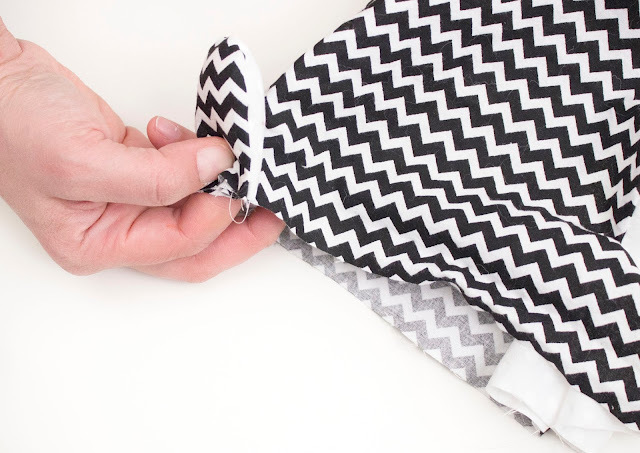 If you want to use a fusible interfacing to support your fabric, choose a mid-light weight fusible. 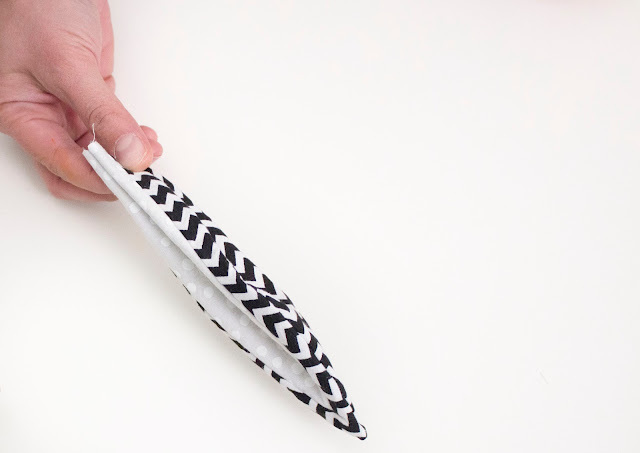 My favorite all-round interfacing is this one from Fashion Sewing Supply, but you could also use something such as this Pellon interfacing that should be available at your local fabric store. You'll need 12mm safety eyes, I usually use brown ones. 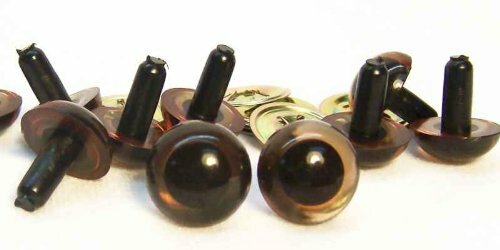 If you haven't used these before, they are very easy to install and are very secure. They also look convincingly like the eyes on antique stuffed animals. I usually buy mine locally, but you can also get them on Amazon. You'll need some stuffing for your bunny. 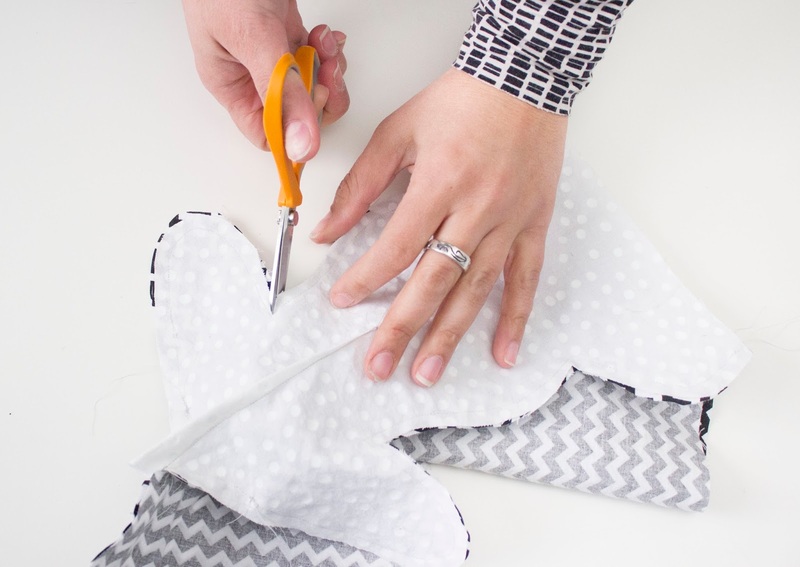 The most readily available and easy to use stuffing is Polyfil, which should be available at your local craft or fabric store. I strongly prefer to stuff my toys with wool. 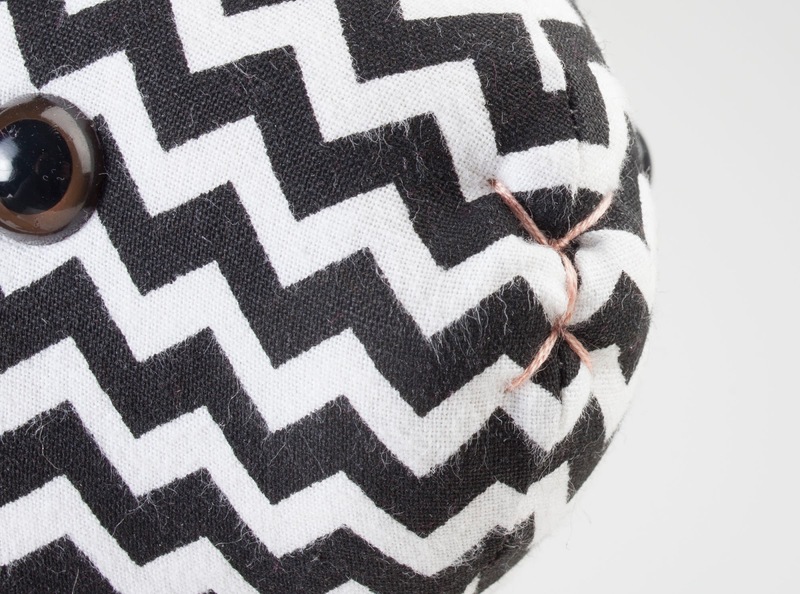 It does cost more than polyfill. But wool is a natural, re- newable resource. It is hypoallergenic and is often a bedding choice for allergy sufferers since it resists bacteria and dust mites and has antimicrobial and antibacterial properties. It creates a toy that warms to a child’s body and has a satisfying firmness. If you need more convincing, read this article about wool stuffing by one of my favorite doll makers. Where to get wool? The best source on the east coast of the US is West Earl Woolen Mills. No website, you have to call them. Other places: Reggies Dolls and Weir Crafts. You will need 1 lb. Other natural fill choices include cotton, bamboo, and kapok. I haven’t tested these options, but if you have these fills available, feel free to experiment. The rabbit is weighted to provide a natural feel and to help it stand upright. 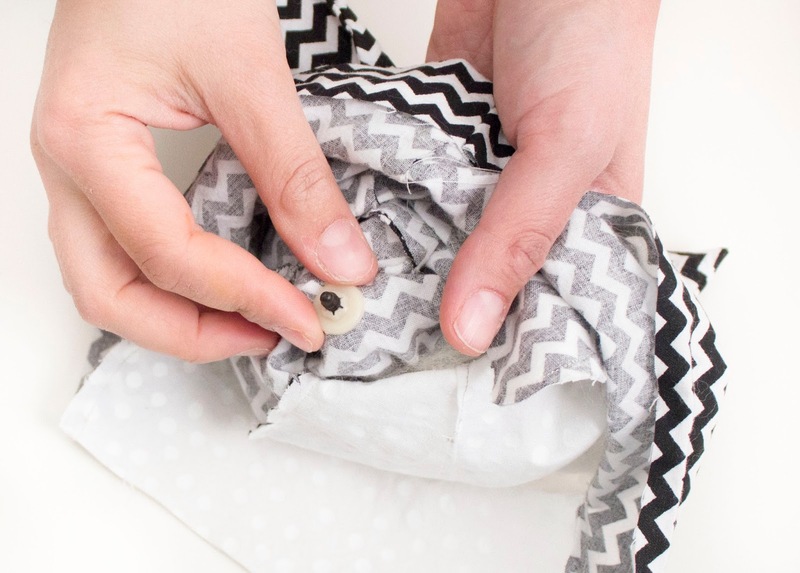 To sew the weight bags, you'll need 1/4 yard of a woven fabric, cotton muslin or similar. For the weight, I use ground walnut shells. You can buy them at your local pet store (they are used as bedding for reptiles) or here. You can even get them scented. You will only need about 1 cup of ground walnut shells. 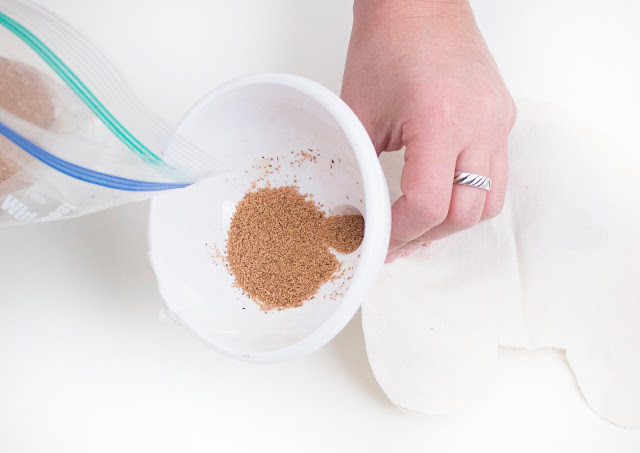 If nut allergies or washability are a concern, you can use poly pellets, find them here or here. You only need about 1 cup of pellets. Make sure to prewash all of your fabrics, including the fabrics you will use as underlining and weight bags. I generally wash all of my fabrics on cold and tumble dry on hot. For delicate fabrics or wool, I usually hand wash or machine wash on gentle and air dry. 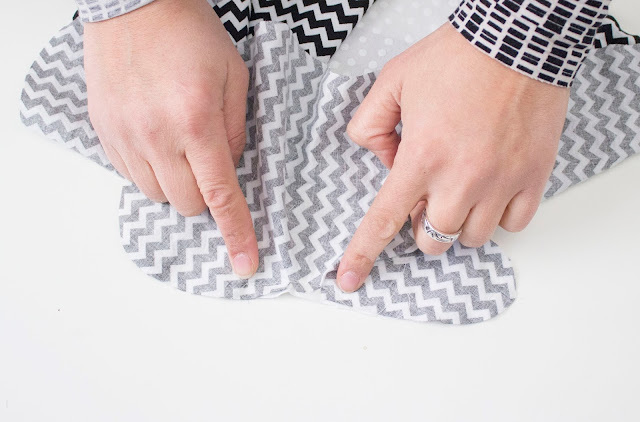 You might want to pre-wash your interfacing, if it is not already pre-shrunk. For most interfacings, you can soak them in warm water and air dry. That's it for today! Tomorrow we'll assemble the PDF and start cutting. Welcome to the Velveteen Rabbit Sew Along! 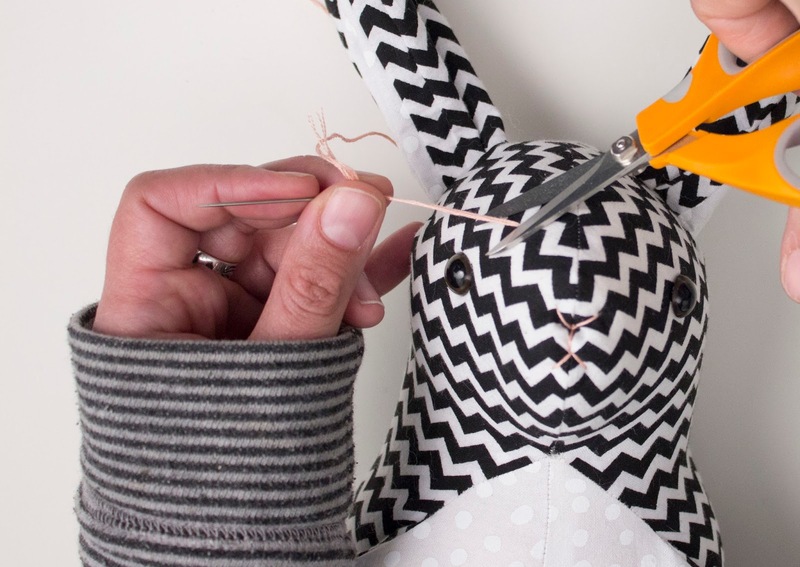 If you have never made a stuffed animal before, the Velveteen Rabbit is a great place to start because it has a simple shape without too many curves or tight places. 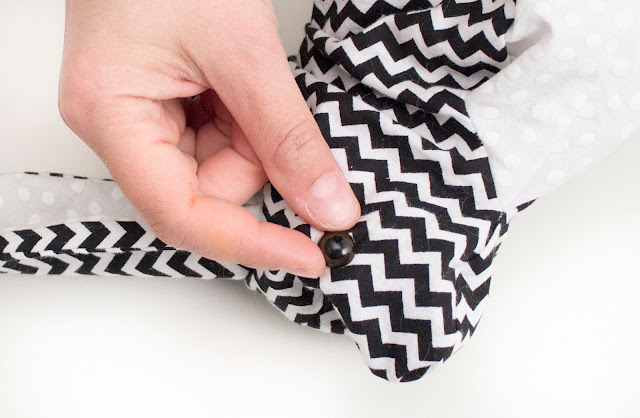 This sew along will help guide you through the process. The holidays are coming right up and I know many of you makers are getting busy. I wanted to get this sewalong up to help those of you that might be considering making a special toy for someone special on your list! 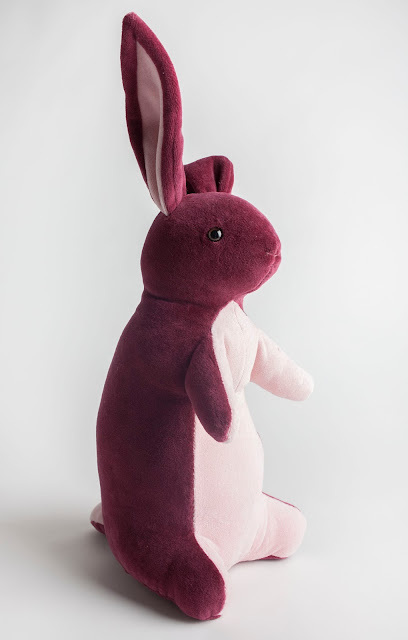 The Velveteen Rabbit pattern is a PDF sewing pattern to make a nearly life-size standing rabbit toy. The bunny stands about 14 inches tall when his ears are down, and is weighted to feel like a real rabbit. 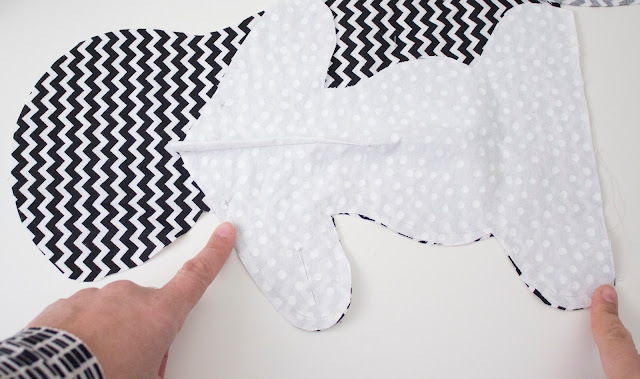 The pattern is designed for woven fabrics such as quilting cottons and velveteen, but it also includes instructions for how use a stretchy fabric like cotton velour or minky. 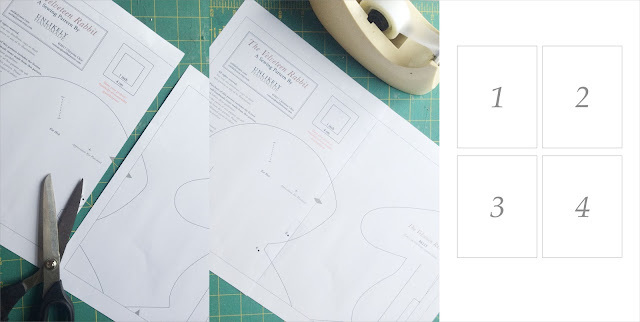 The pattern includes downloadable step-by-step instructions with photo illustrations. 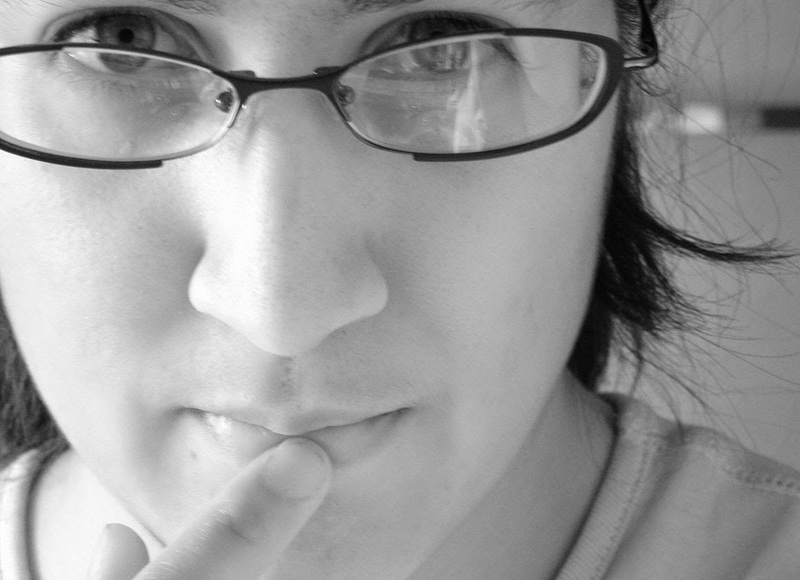 The sewalong and the accompanying videos provide additional examples and information. The pattern was first released in Love Sewing Magazine in Spring 2017. The version that is for sale on this website or Etsy includes more detailed instructions. If you haven't gotten your pattern yet, you can get it at my Etsy store here. Use code VELVETEEN to get 10% off through November 27. 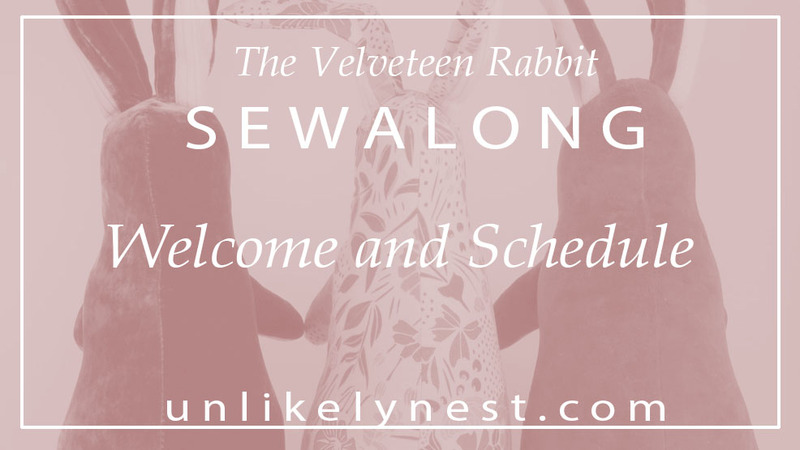 I've always been a fan of classic toys, and the Velveteen Rabbit is one of my favorites! Most of us know about the Velveteen Rabbit from Margery Williams' 1922 book, The Velveteen Rabbit. It was Williams' first book, and it told the story of a young boy who receives a stuffed rabbit toy for Christmas. Once the novelty of the talking and mechanical toys wears off, the rabbit becomes a favorite toy. Their relationship grows for many years, but one year the boy gets sick, and all of the toys that consoled him when he was sick are discarded. Left overnight in the garden, the rabbit cries a single real tear, then a fairy grants his wish to be a "real" rabbit. The following summer, the boy sees rabbits playing in the yard and remarks on how much one of the resembles his former toy. 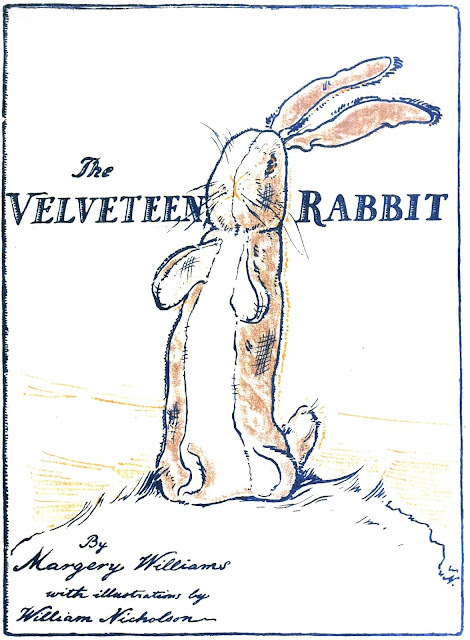 Cover of the first edition of The Velveteen Rabbit by Margery Williams, Illustrations by William Nicholson. While the book made the idea of a Velveteen Rabbit famous, such a toy might have been commonplace in 1922. 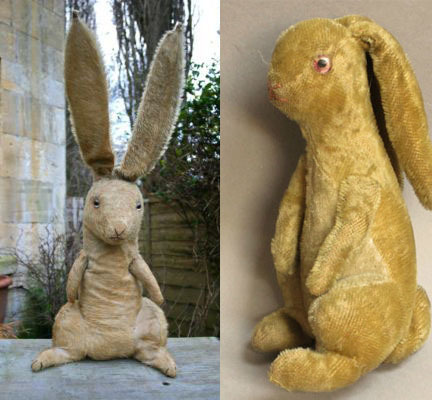 There are several stuffed rabbit toys in museum collections that date back to before Williams published her book. One of my favorites is in the collection of the Victoria and Albert Museum in London. The Velveteen Rabbit Pattern was strongly influenced by this sweet standing rabbit. 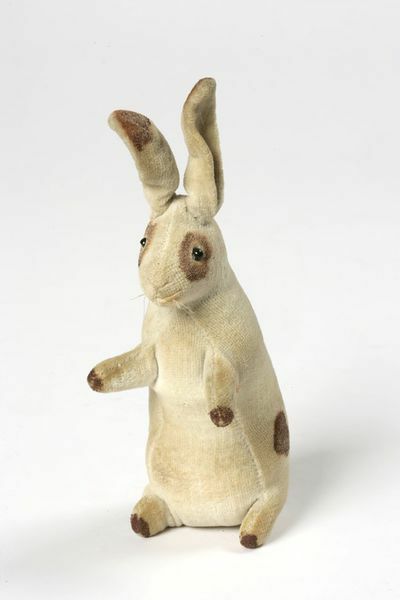 "Toy rabbit called 'Tiny', in an upright stance, printed cream velvet with brown spots," ca 1902, Victoria and Albert Museum, London. There are also several excellent examples of "velveteen rabbits" by the famous toymaker, Steiff. The orange bunny was sold at a Christies Auction for over $2,000! 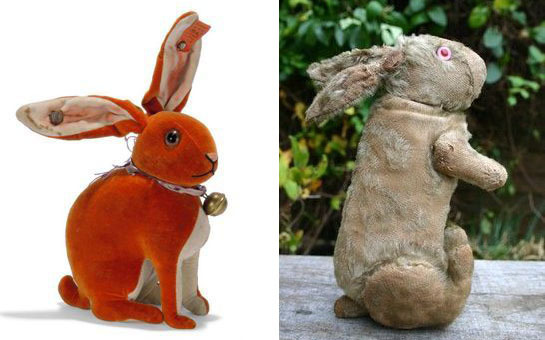 Other examples of upright stuffed rabbit toys can be found on Ebay and collector websites. The velveteen rabbit has been around for a long time, so you can be sure that it won't go out of style in a hurry. Here are a few more that I created from the pattern. The one on the left is made from a silk/rayon velvet with a white ribbed cotton velour ears and belly. The one in the middle is made from a cotton print by Cloud 9 fabrics. I'll be back tomorrow with the first sew along post where we'll talk about fabrics, hope to see you there!